Ambitious self-proclaimed "next big thing" director Jacob Lewis (Alex Dona) has grand ideas for his debut feature length movie. Given that THE BLAIR WITCH PROJECT grossed so highly at the box office he has decided to make a movie in exactly the same vein but with a few subtle differences. These changes being a wizard instead of a witch, a thesis not project and, erm, well that's about it. Using his brother David (James Mitry) to shoot the behind the scenes documentary which is how the found footage material is shot. Straight away it is obvious that Jacob has no clue what he is doing choosing to rant, assert his authority and hit on leading actress Sophie Anderson (Krystal Lencova) then actually do anything constructive. He is the only one who can't see just how bad an actress Sophie really is, but she is not the only wet lettuce on set. Jacob also casts French model Diego Acosta (Ishak Issa) as the lead male (and eye candy for the ladies) overlooking the fact that he hardly speaks any English and is as talentless as Jedward. Add to this top notch cast Jacobs best mate Samuel (Will Averill) as the more "grounded" character(who needs subtitles to be understood and just wants to gets high all the time) and Jacob is certain this has cult classic written all over it. The only talent in the movie is the extra (Tim Love) who only wants to do well in his role but is constantly bullied and belittled by Jacob ( "I feel like Joel Schumacher if he ever had to work with Val Kilmer again." ). Luckily, (for Jacob) his faithful assistant Lucy (Rose Morel) acts as pretty much every other crew member. Obviously in love with him even though he hardly notices her she does everything for him even getting her father to fund the whole thing. With filming barely happening and huge fights between the brothers the last thing they need is for Samuel to go missing right before the bus is due to pick them up!! 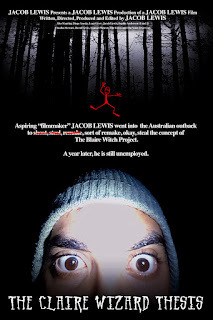 Very light on horror this mockumentary is really well done. The cast makes this movie, with director Ishak Issa, Rose Morel, Tim Love and Alex Dona being stand outs for me. Its almost as funny finding out whilst researching this movie that Issa and a couple of the other actors have been in Home & Away or Neighbours previously. Other cast members are linked through other projects and it's great to see how they all gel so well with eachother. The camera work within the found footage aspect is great and not overly shaky. For a movie that doesn't really go anywhere it is very engaging and has a lot of laugh out loud moments. The scenes of sibling rivalry between the brothers is train wreck tv at its best with a couple of other random surprises thrown in. It still keeps with the spoofing throughout the end credits which you need to watch all the way through for an extra giggle. The soundtrack is especially hilarious with most tracks written by Taka Perry and Ishak Issa. 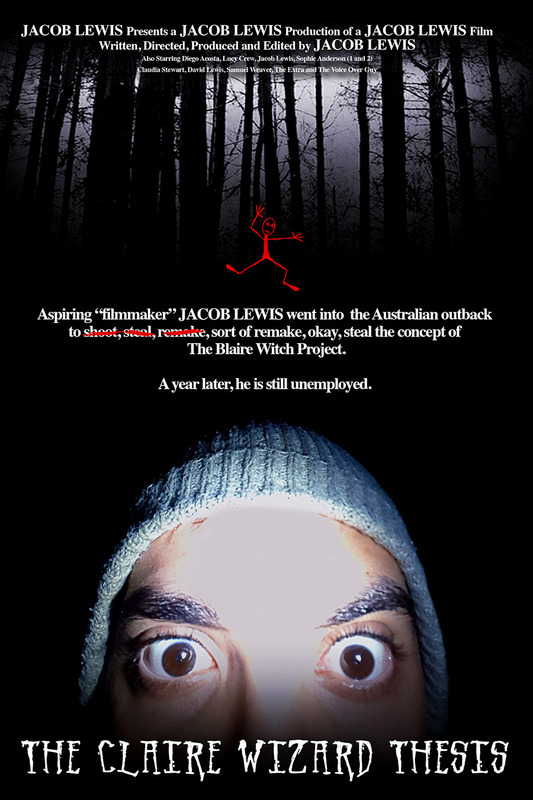 A great effort, it's everything and more that I had hoped from a spoof of THE BLAIR WITCH PROJECT.